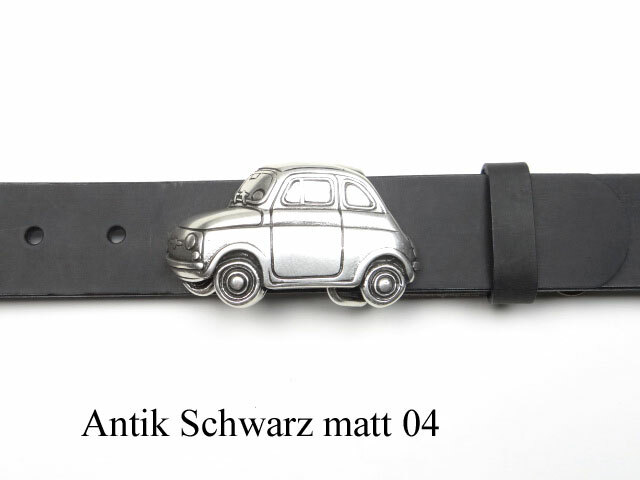 Leather belt featuring an original Fiat 500 buckle. 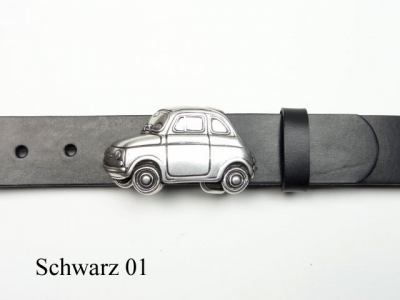 The buckle is silver-plated and nickel-free and the belt is available in all sizes and 5 different strap colours. The Fiat 500 is a cult classic car from Italy. 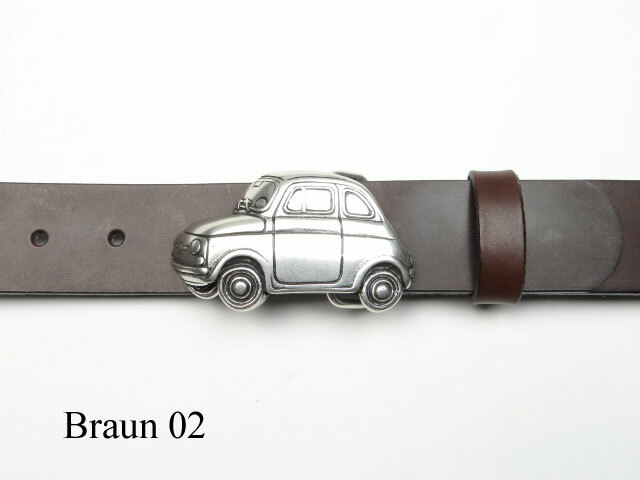 3.7 million cars were built between 1957 and 1975. 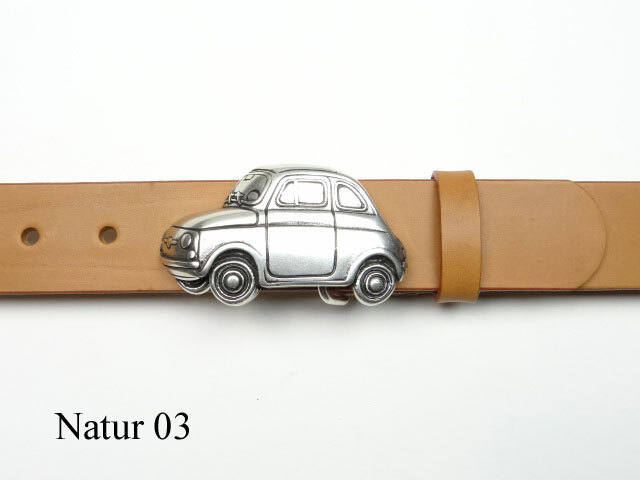 The oldtimer Fiat 500 is one of the most popular classic Italian cars. 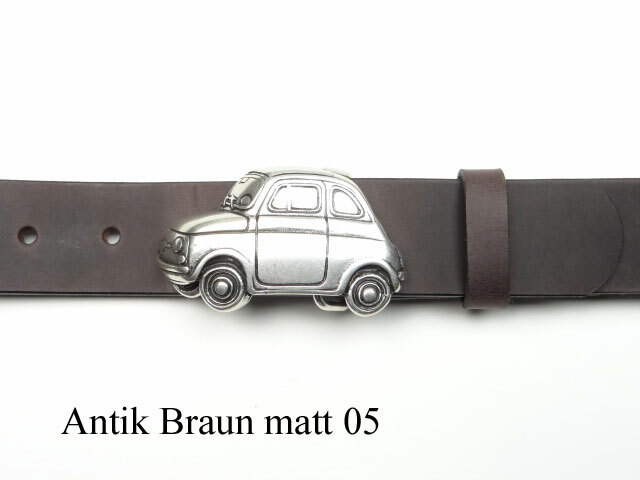 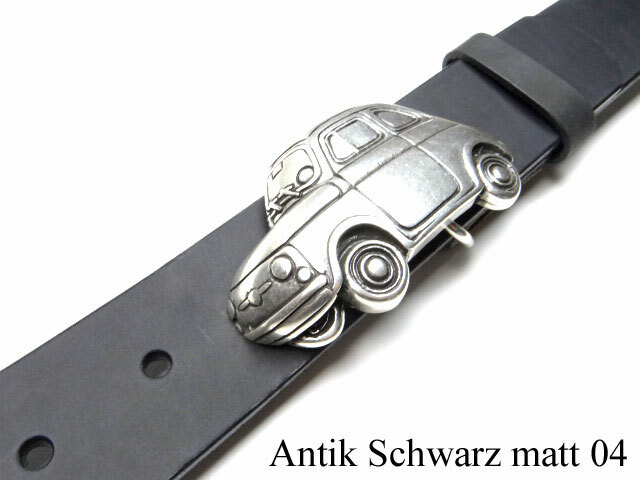 This belt is a must for all enthusiasts of this legendary oldtimer.